As temperatures rise and older air conditioners are asked to work even harder, many won't be able to handle the extra load, and they'll stop working. If your cooling system is one of these and you cannot keep your home cool during our hot Minnesota summers, give us a call. We will have one of our trained service technicians at your home as soon as possible to get your system working again promptly. Though we specialize in Lennox cooling products, our air conditioning repair technicians are professionally trained and certified to repair any brand of air conditioner or cooling equipment. When your cooling system breaks down, we’ll be at your home within 24 hours to get your system fixed. All manufacturers recommend annual maintenance to ensure your cooling system continues operating at peak efficiency. 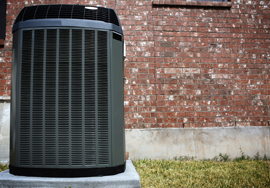 Four Seasons Air Specialists offers a Planned Maintenance Program that will save you money in the long run and also save you money on other products and services. Please call us for more details on how you can benefit from joining our Planned Maintenance Program.